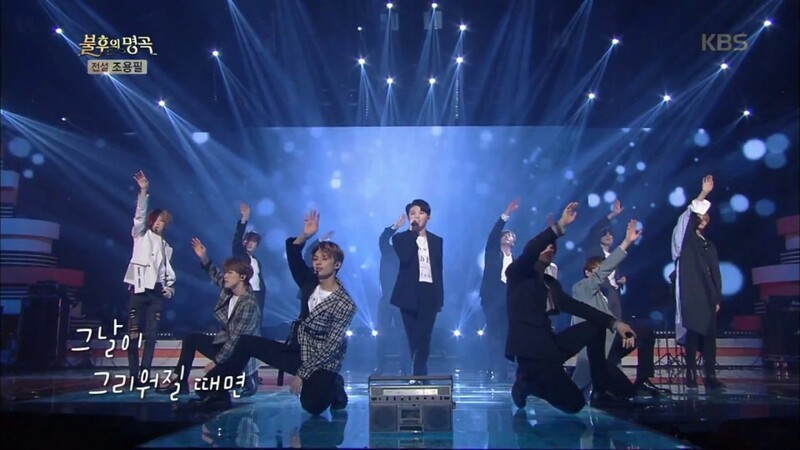 Seventeen represented for all the idol groups on the Cho Yong Pil special of 'Immortal Song'. On the May 5 installment of the show, Seventeen was the third act up with their cover of Cho Yong Pil's "Short Hair". Their bright energy got the crowd going, and their performance-centered cover put a new twist on the 1979 hit track. For the final part of the Cho Yong Pil special, Seventeen took the ultimate trophy with 432 points, winning as the only idol group on the show. Congratulations to Seventeen!